A semi-truck is the combination of a tractor unit and one or more detachable trailer that is supported by the road tractor. Semi-trucks are also referred to as 18-wheelers, semi-trailers or tractor trailers. Semi-trucks transport extremely heavy freight such as construction materials, machinery and flammable cargo. Semi-truck accidents caused close to 4,000 deaths in 2016 only, which is 26% higher than in 2009 when death toll caused by semi-trucks was at its lowest..
Semi-truck crashes can result in death and serious injuries such as traumatic brain injuries (TBI) as well as spinal cord injuries. Driver Error – Driver tiredness or fatigue which is a result of long driving hours per week. Distracted Driving – Long driving hours cause a driver to multitask and shift focus and attention off the road. Texting, talking, eating or even entering directions into GPS can all be distractions that can put the semi truck driver and others in danger. Maintenance – Poor or improper tuck maintenance are a responsibility of trucking companies. Truck companies must always be compliant with federal and state regulations. Improper loading or overloading – This can occur when cargo is loaded quickly, loaded carelessly by inexperienced packers or because cargo was not secured properly. There are regulations on weight carried; if a truck is overloaded it can be disastrous on the road. Equipment failure – This can occur due to negligence of manufacturers by producing defective parts. Liability here can fall on the parts or truck manufacturer, trucking company or even installer. Unsafe driving conditions – Poor road conditions such as unpaved or narrow roads can be hazardous and make it difficult for drivers. Poor weather conditions such as rain, snow or wind are not ideal for driving in general, and it can make it especially tricky for big trucks. 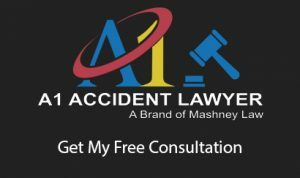 How can a semi-truck accident lawyer in Orange County help me with my claim? If you or a loved one suffered a loss or suffered injuries caused by an accident involving a semi-truck, initiating a lawsuit is a must. Our semi-truck accident attorneys are experienced at handling these specific types of claims and are able to help you obtain favorable results as well as seek the right level of compensation. Contact our semi-truck accident attorneys in Orange County and if you can’t come to us, our Anaheim semi-truck accident attorney or our semi truck accident attorney in Los Angeles will go to you!